Free parking is available on the side and behind the restaurant. Walking distance from stops off both the Park Meadows and Prospector Square transit lines. Adolph’s is best known for its warm hospitality and ample portions. Dine in a casually elegant atmosphere with an exquisite cuisine. 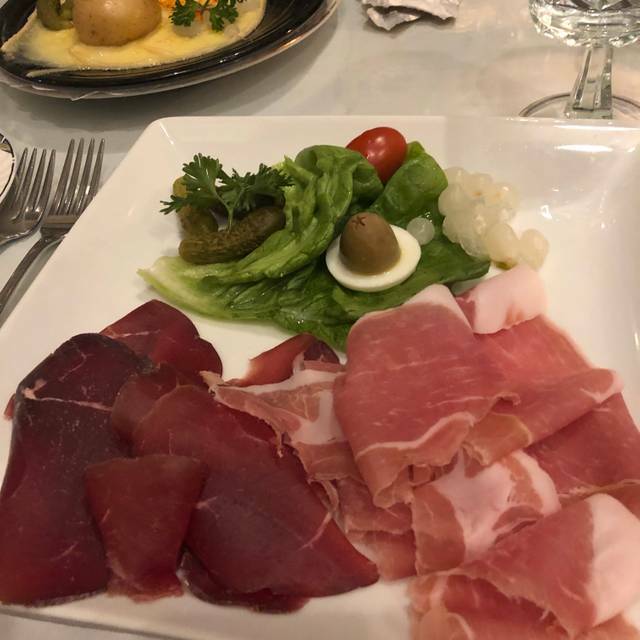 Enjoy Adolph’s Swiss specialties like original Swiss cheese fondue or Raclette; or select the house specialties, Steak Diane, roast rack of lamb, Veal Adolph’s, and Utah Trout. Adolph’s is owned and operated by Adolph Imboden since 1974 and lives up to its celebrated reputation as a local favorite. Fresh Salmon Filet "Four Seasons"
Lovely meal in a quiet ambience with great service. No draft beer but a good selection of bottled imports. The fondue was authentic using gruyere, emmentaler and appenzeller cheeses. The trout was delicious and the salads were fresh with a house made dressing. We will go again! It is a must for our family to visit Adolph's on every trip to Park City, and we always order the same thing. 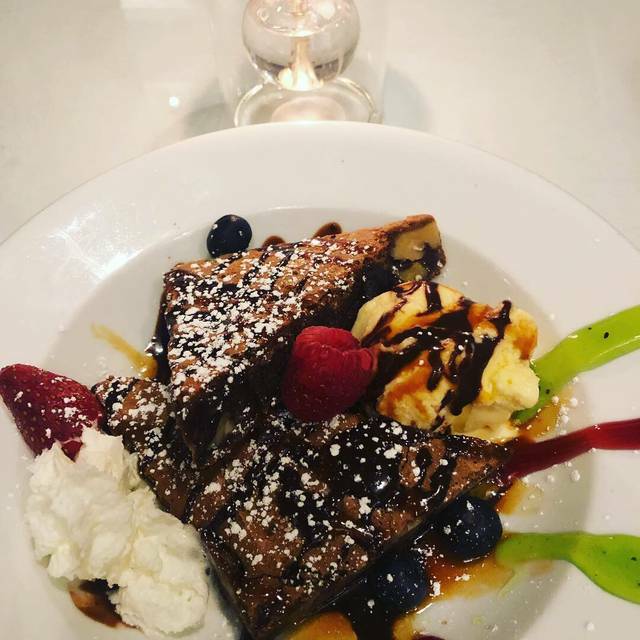 We love love love the authentic cheese fondue, followed by the salad with the yummy dressing, steak Diane, and then end with scrumptious bananas foster. 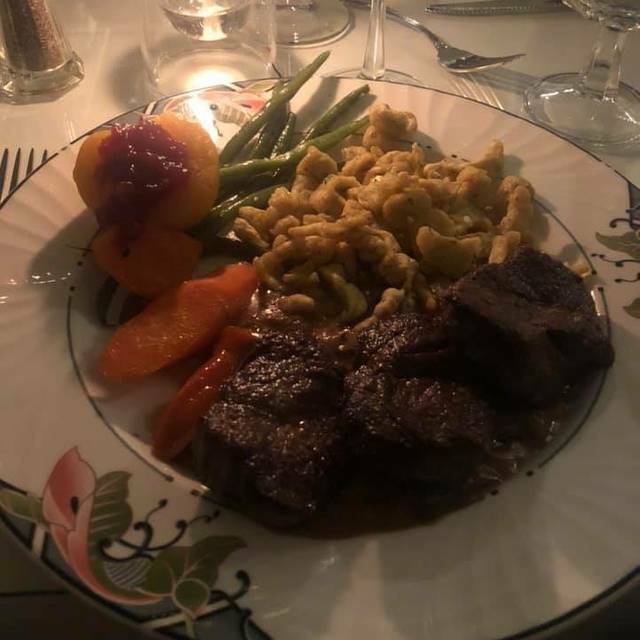 We have been wanting to go to Adolph's for a couple of years and finally went on our 3 year anniversary and had a nice meal and relaxing fun experience. The service was very good and the staff extremely friendly. The food although a bit expensive was worth it and quite tasty! We will be back for another special occasion. Been in Park City since 2005. Last 5 years gets worse every time. Needs to retire. Past its prime. Better options. Great food, great service. I look forward to going back the next time we are in Park City. Very cool interior full of Olympic and other championship skiing memorabilia plus lots involving exotic cars. Great menu and delicious food. Our service was excellent. Definitely fine fining with high prices you'd expect in a ski resort town. But for our one dinner out on a short weekend trip, it was worth it. We had dinner at Adolph's on our last night before we left for our red-eye flight. Linda was a fabulous server. She made us feel comfortable and gave us great recommendations. And Leslie accommodated us in the dining room when we only had a reservation in the bar area. This way we could have Linda as our server. The food was fabulous! 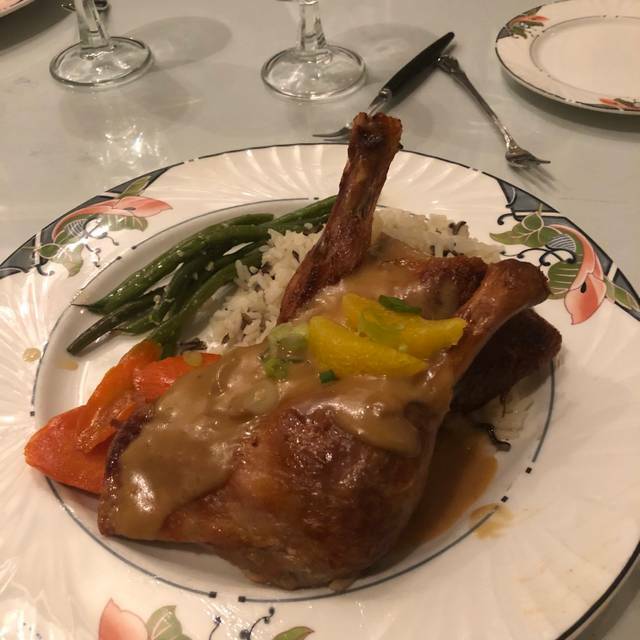 My husband loved the signature dish. I had the steak and shrimp special which was excellent. The peppercorn sauce was the bomb. The only negative thing I would say is that the mashed potatoes were watery. Yes go to Adolph's! Wonderful, very much like dining in an upper-end Swiss or Austrian resort! 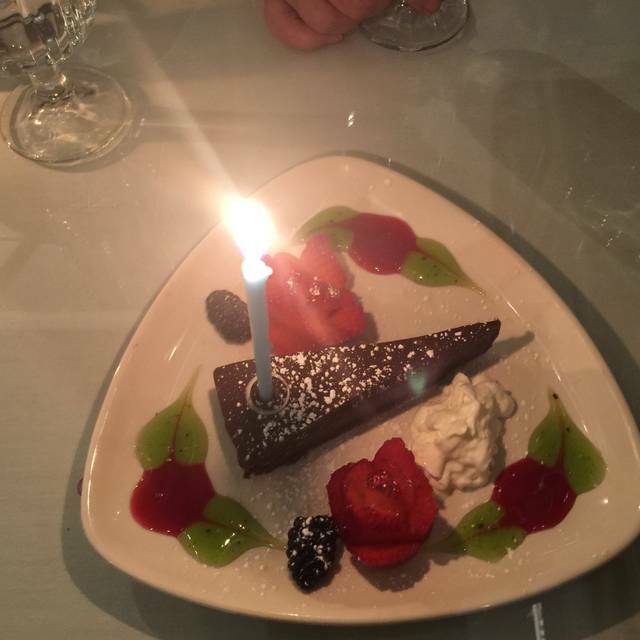 We had a wonderful birthday dinner here tonight. The service was a little slow maybe because the place is understaffed. Food was great nonetheless- we had a rack of lamb, Steak Diane and cheese fondue for two. The steak was done perfectly medium rare. 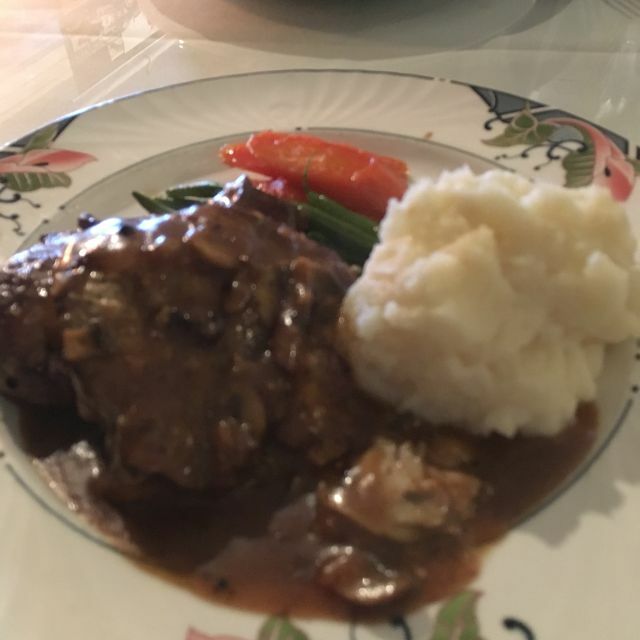 I have been to Adolph's in the past and did not have any hesitation to go again. That was then, this is now. I had a 6:15 reservation this past Monday night and ordered our dinner around 6:30. So far, so good. An hour and fifteen minutes later we still had not received our dinner. Nor had anyone of the 20 people around us. I went to the owner/manager and explained we had been there for over an hour and a half and still did not have our food and asked if he was having problems in the kitchen. Instead of telling me the truth that they were three people short in the kitchen he lied and said there were not any problems. I explained this was unacceptable and he had a bunch of people in his restaurant that were very unhappy. Why he felt it was necessary to lie then to just explain they were not prepared for this evenings crowd I will never know. Regardless, I am not sure if I will go back to Adolph's and certainly can not recommend this restaurant to my friends knowing the owner will not be forthright should a problem occur. Not much of a German selection unless you like veal. Service was slow and half our food was served after we ate the main portion of dinner. Slightly over priced but change of pace from pizza/ bar food. Better off driving to Main Street for dinner. We live part time in Park City, it. So we have become regulars at Adolph’s over the years with a reliable dinning spot. The atmosphere is very ski lodge design with all of Aholphs photos of skiing stars and racing photos, you will be taken back by all the history in his restaurant. Great Real food like steak Diane, scampi etc.You can not go wrong with is fine restaurant!! Food was pretty good, the atmosphere is neat but the service was very slow! Authentic Swiss/European cuisine. 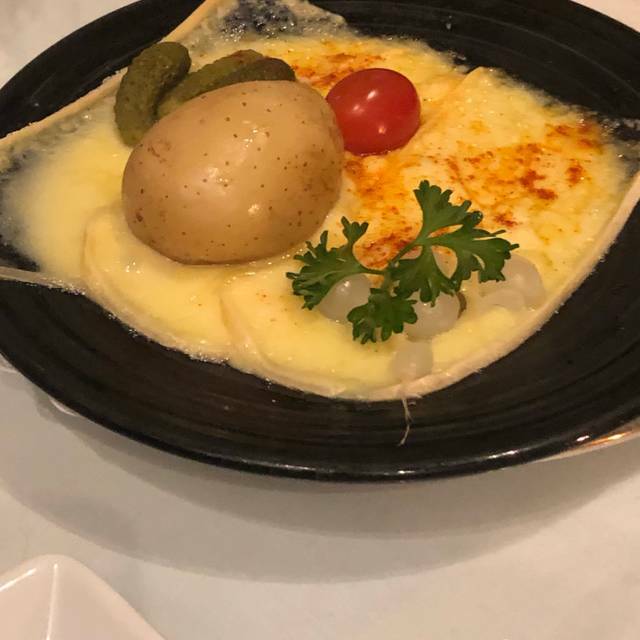 Fantastic Raclette (Swiss melted cheese). Mr Adolf himself was present and we had great chat with him about Switzerland where we lived before. Highly recommended! Food is good, and not unreasonably priced but service was very slow. Absolutely great service and delicious food! Very nice authentic Swiss/German meal. Really enjoyed the food and drinks! As always, this was the highlight of my dining experience at Park City. The food here is unequalled. The selection is outstanding, regardless of your diet. About the only thing that supersedes the food is the outstanding service. Adolphs is very good. We've eaten there a couple times and food is top quality. Adolf’s remains the best restaurant in park city. The owner/chef is actually in the kitchen working- not hiring cheap labor to bang something together for low wages. A fate that has befallen several other establishments in town which used to be good. Being big ski race fans, we love the ambiance. It is clean, and service is brisk and professional. It is a little pricey, but you are in a resort town after all. Great food, attentive service. Great value. 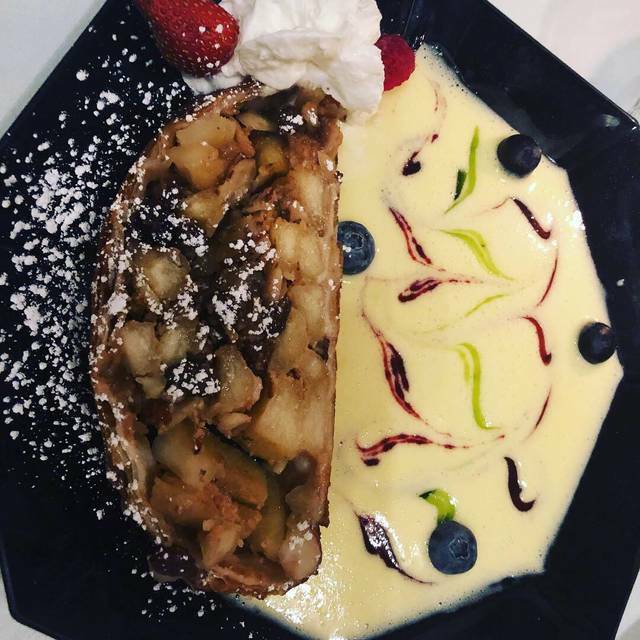 Try the strudel. Linda our waitress was great. 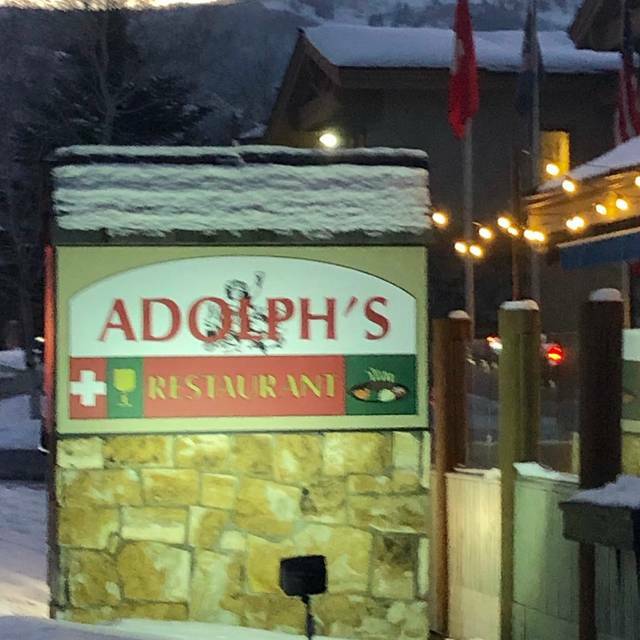 We eat at Adolph's every time we go to Park City for a ski trip. Our experience this time was no different than prior years. Food was delicious. Service was great. Atmosphere was comfortable and the noise level was low so that my husband and I could easily talk to each other. I had the veal Adolph which was absolutely delicious. My husband has Weiner Schnitzel which was also delicious. Cherries jubilee and apple strudel were for dessert were also delicious. Looking forward to our next ski trip to Park City so that we can dine at Adolph's. Fantastic escargot and rack of lamb. Must go when in Park City. Un restaurant con mucho encanto, muy buen servicio y excelente comida. Lo recomiendo para una comida apréz ski o una cena para terminar un gran día. The entrees and dessert were great but very disappointed in the fondue. It was onyl served with stale bread - would have like some apples at least. Great food and great service!! We loved everything! Our "must eat there every ski vacation" place! Onion soup consistently divine; duck is always fresh, tender, moist, and tasty! Entrees come with a very nice salad. Ample portions! Wait staff always friendly and courteous. Great experience . Had a large party of 9 and all commented on how good the food and service was! Always a favorite place to go! Both the food and service was spectacular! We had the chateaubriand, perfectly cooked, beautiful presentation, some of the best vegetables I have had in months. All in all, a perfect dining experience, this may just be my favorite place to eat in Park City.